Things are not always as simple as they seem; the current crisis in U.S.-Israel relations has a silver lining. First, the "peace process" is in actuality a "war process." Diplomatic negotiations through the 1990s led to a parade of Israeli retreats that had the perverse effect of turning the middling-bad situation of 1993 into the awful one of 2000. Painful Israeli concessions, we now know, stimulate not reciprocal Palestinian goodwill but rather irredentism, ambition, fury, and violence. Second, Israeli concessions to the Arabs are effectively forever while relations with Washington fluctuate. Once the Israelis left south Lebanon and Gaza, they did so for good, as would be the case with the Golan Heights or eastern Jerusalem. Undoing these steps would be prohibitively costly. In contrast, U.S.-Israel tensions depend on personalities and circumstances, so they go up and down and the stakes are relatively lower. Each president or prime minister can refute his predecessor's views and tone. Problems can be repaired quickly. More broadly, the U.S.-Israel bond has strengths that go far beyond politicians and issues of the moment. Nothing on earth resembles this bilateral, "the most special" of special relationships and "the family relationship of international politics." Like any family tie, it has high points (Israel ranks second, behind only the United States, in number of companies listed on NASDAQ) and low ones (the Jonathan Pollard espionage affair continues to rankle a quarter century after it broke). The tie has a unique intensity when it comes to strategic cooperation, economic connections, intellectual ties, shared values, United Nations voting records, religious commonalities, and even mutual interference in each other's internal affairs. From Israel's perspective, then, political relations with the Arabs are freighted but those with Washington have a lightness and flexibility. Third, when Israeli leaders enjoy strong, trusting relations with Washington, they give more to the Arabs. Golda Meir made concessions to Richard Nixon, Menachem Begin to Jimmy Carter, Yitzhak Rabin, Binyamin Netanyahu, and Ehud Barak to Bill Clinton, and Ariel Sharon to George W. Bush. 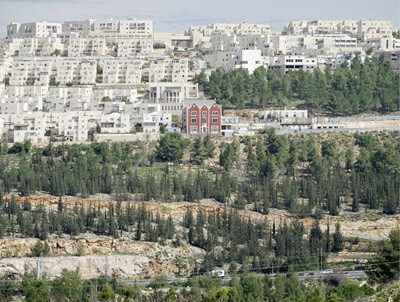 Buildings in Ramat Shlomo, a former no man's land in Jerusalem, where Barack Obama opposes new Israeli construction. Conversely, mistrust of Washington tightens Israelis and closes the willingness to take chances. That was the case with George H.W. Bush and is even more so with Barack Obama. The current unease began even before Obama reached the Oval Office, given his public association with prominent Israel-haters (e.g., Ali Abunimah, Rashid Khalidi, Edward Said, Jeremiah Wright). Relations degenerated in March, when his administration simulated outrage on the 9th over an announcement of routine construction work in Jerusalem, followed by a brutal telephone call from the secretary of state on the 12th and a tense White House summit meeting on the 23rd. 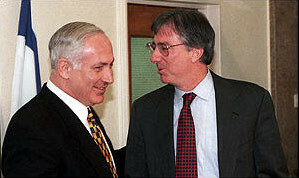 Dennis Ross (right): too solicitous of Binyamin Netanyahu (left)? To make matters worse, the Obama administration figure most identified with maintaining good U.S.-Israel relations, Dennis Ross, was anonymously accused by a colleague on March 28 of being "far more sensitive to Netanyahu's coalition politics than to U.S. interests." A prominent foreign policy analyst used this to raise questions about Ross having a "dual loyalty" to Israel, impugning Ross' policy advice. These ugly and virtually unprecedented tensions have had a predictable effect on the Israeli public, making it mistrustful of Obama, resistant to U.S. pressure, while inspiring usually squabbling politicians to work together to resist his policies. Fourth, U.S.-Israel tensions increase Palestinian intransigence and demands. Israel in bad standing empowers their leaders; and if the tensions arise from U.S. pressure for concessions to the Palestinians, the latter sit back and enjoy the show. This happened in mid-2009, when Mahmoud Abbas instructed Americans what to extract from Jerusalem. Conversely, when U.S.-Israel relations flourish, Palestinian leaders feel pressure to meet Israelis, pretend to negotiate, and sign documents. Combining these four presumptions results in a counterintuitive conclusion: Strong U.S.-Israel ties induce irreversible Israeli mistakes. Poor U.S.-Israel ties abort this process. Obama may expect that picking a fight with Israel will produce negotiations but it will have the opposite effect. He may think he is approaching a diplomatic breakthrough but, in fact, he is rendering that less likely. Those who fear more "war process" can thus take some solace in the administration's blunders. The complexity of U.S.-Israel relations leaves much room for paradox and inadvertency. A look beyond a worrisome turn of events suggests that good may come of it. The history of American-Israeli relations illustrates that when the United States and Israel agree on a common strategic vision, as they did during the period of Ehud Barak, Ariel Sharon and Ehud Olmert, Washington is less focused on where they differ. The corollary is when they don't share a common direction, the United States is hard-nosed on the differences, as it was during when George Bush Sr. was opposite Yitzhak Shamir. even some European and Arab diplomats—almost all of whom have traditionally favored pressure on Israel—admit that such friction at the top of U.S.-Israel relations will not translate into progress for peace. They say an insecure Israel will not take risks for peace. Trust needs to be built, and not as a favor to either leader, but because it is a necessity for anyone who wants to see a more stable Middle East. But Makovsky rues the impact of poor U.S.-Israel relations in this regard whereas I applaud them. It is the very strength of our relationship that has made Arab-Israeli peace agreements possible, both because it convinced those who desired Israel's destruction to abandon any such hope and because it gave successive Israeli governments the confidence to take calculated risks for peace. As the Vice President said during his recent visit to Israel: "Progress occurs in the Middle East when everyone knows there is simply no space between the U.S. and Israel." Steadfast American backing has helped lead to peace treaties with Egypt and Jordan. 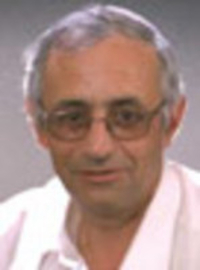 Uri Elitzur, former chairman of the Yesha council and former bureau chief for Benjamin Netanyahu. It is not a healthy situation for Israel to be in a situation in which the president of the United States is hugging our prime minister and pouring love on him. When a big and small figure are good friends, the small one fulfills every request of the big one because it is unpleasant to refuse him, this while the big one can easily allow himself to say "no" to the requests of the small one. When a big figure and small figure carry out negotiations in an atmosphere of distance and reservations, it is easier for the small figure to take a stand, defer proposals, make conditions and sometimes refuse. The overt and publicized friendship between Bush and Sharon completely crippled Sharon against every American request and pressure. In contrast to this the personal hostility between Clinton and Netanyahu gave Netanyahu the ability to maneuver when dealing with Clinton and not once and not twice, I saw with my own eyes, that this put the two of them in the position of two traders bargaining between themselves in a give and take of equals. Facing Obama, whose worldview is conciliatory and pro-Islamic and for whom Israel is a kind of impediment, this is particularly true. On a diplomatic level the prime minister of Israel must be armed with good ties with other elements in the government and public opinion. On a personal level it is preferable and desirable for him to develop cold and suspicious relations, to always face the president for a diplomatic duel and never for a love fest, and to whisper to himself at every meeting: "just not chemistry".